Hello Friends, This is my first post in my website,Please Follow this And Support Me. 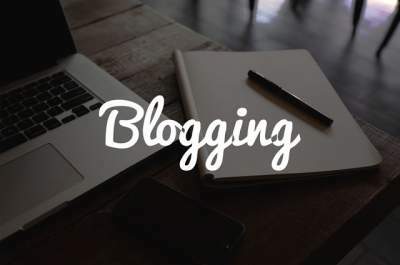 In this post I will give you full detail about how to start your blog. I will tell you this topic through diffents posts. So if you want to get all the information about blogging and how to get started with you blog then visit this blog from time to time. And gather more information about blogging. Then, according to that information, start your own blogging career, start your own blog and start earning through your blog. So let's start friends, first of all on this topic know what happens to the blog. Friends, Blog is a platform where you can express your knowledge in your own words and inform your users about that thing. You can start your own blog related to the subject that you have a good knowledge about and given information to your users. Friends, In this post, I will tell you that to need to start your blog and how you can get those things. If you are still starting your blogging career, then I would like to advise you not to start investing too much in the blogging. If you wish, I can start my Blogging career free. And when you feel that your blog is doing very well then you can make some investments in it and make your blog even better. So this is something that is very important for you to start the blog. By the way, If you want, you can create your blog name for free on blogspot. But I will not give you the opinion of making my blog on the blogspot for free. Because If you start your blog in the blogspot, then there are number of restrictions in it so that you will not be able to run your blog well. So first you register a domain name. You can take any extension of your domain .ie,.com,.in,.org,.net etc. Web hosting is where you will publish your articles, photos and files. From where any user can view,read and download posts, photos and files of our website. For web hosting I will tell you about two types of web hosting here, the first of which is web hosting free host your blog on a blogspot for free. Second hosting in which you may have to invest a little bit. Nowadays online hosting offers many web sites. You can take any company's paid hosting and start you own blog. Friends, If you have any questions related to starting blogging in your mind, then do not forget to comment in this comment box below. I will my best to answer your comments. And you will be fully able to started your blogging career in all your ways. So if you want you to get every information I give you. So you constantly visit this blog and start your blogging career and online earning.